ofcourse to it we add some sugar and spice! 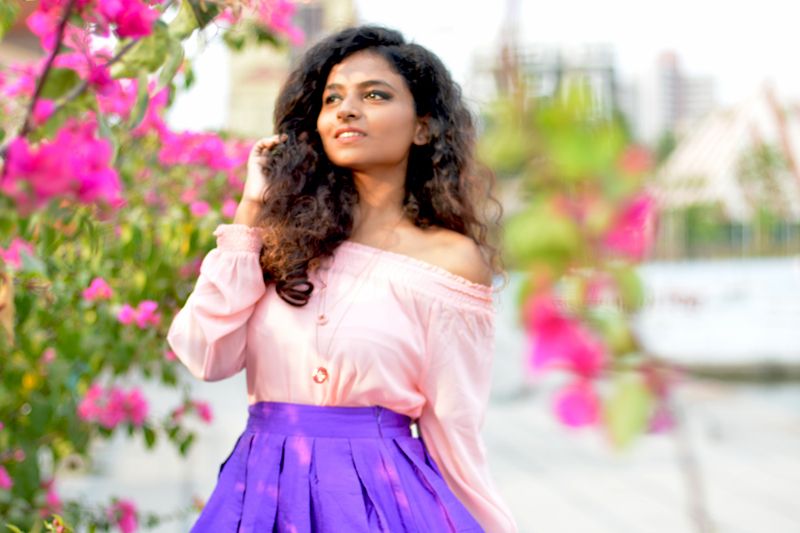 Here's me painting my pastel world with a rose quartz off-shoulder top and a violet midi-skirt. These chill tones and breezy fabrics makes the summer bearable. OMG!! No words have to explain about your dress and style. You looks fantabulous. I i like to buy skirts in summer. Thanks for sharing with us. I think you have to improvement in the gigantic photograph, It's not about fascinating it's about every thriving on a face implementation being anxious, I think people think too hard and get afraid of a certain challenge. Nice pictures and I really like your dress. 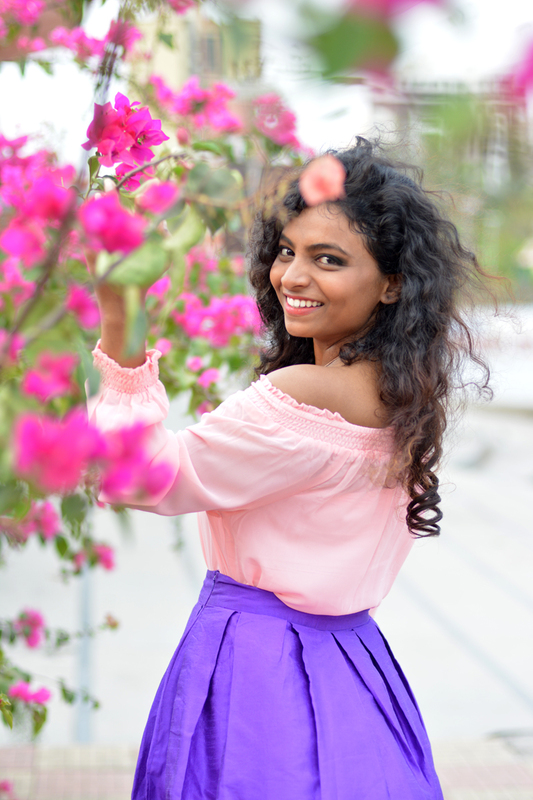 Nice pictures...Best for this Hot Summer, a pink off-shoulder and a purple midi-skirt with purple footwear. Thanks for sharing with us!! Great look. Must say pastels do bring out the best of the femininity in all women. 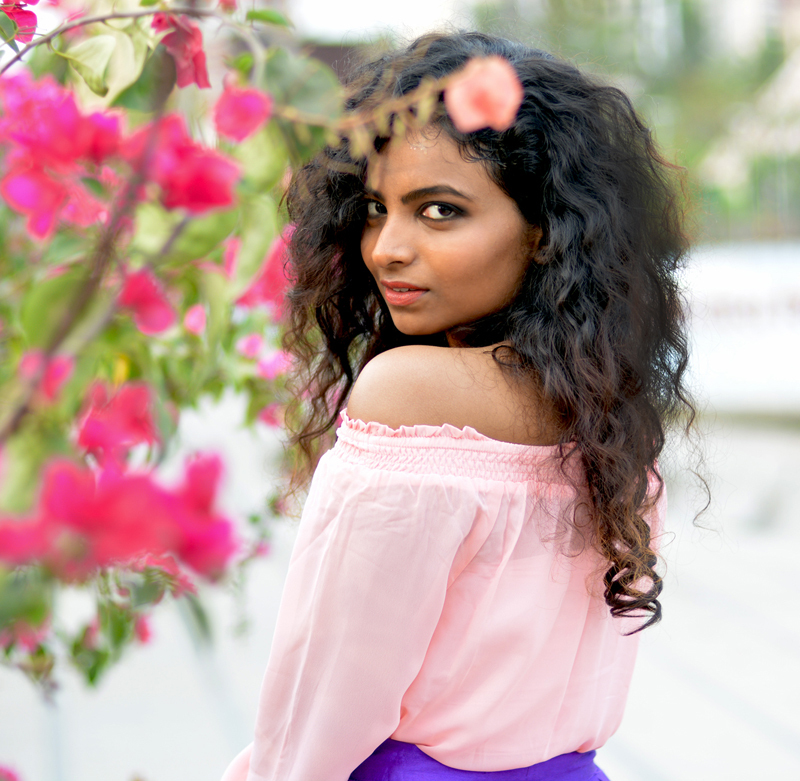 The off shoulder top looks so comfy for the summers... You are right - they do make the summers bearable. wow so nice!! I love this post very much. You looks very pretty. I love to buy online kurtis for this summer. Thanks for sharing with us. Beautiful! I love the necklace.